Pool stains can occur on swimming pool walls, floors, and steps, often due to excessive metals present in the water, or algae growth. What are swimming Pool Stains? 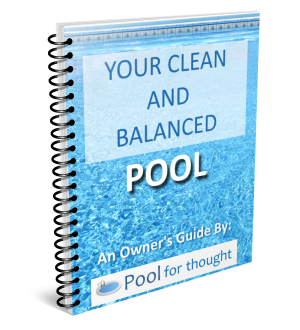 Pool stains, or swimming pool staining, usually refer to areas of discoloration on swimming pool walls, floors, steps, or any surface of the swimming pool in contact with pool water. 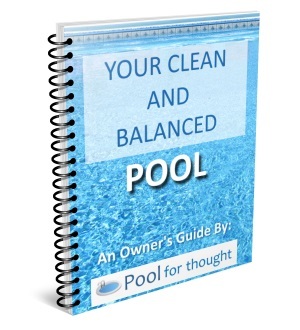 There are two main causes of swimming pool stains; dissolved metals and algae growth. Dissolved copper will stain in green, blue, black, or grey depending on the surface of your pool. The pool water may also appear green due to copper dissolved and oxidized in the water. Dissolved iron will leave brown stains typically in the color of rust. Pool owners with metal stains need to be concerned how the staining occurred in the first place, as metals found in pool water often is due to corrosive water from low pH levels in the water. Removing metals stains is often performed by adding a metal removing product designed specifically for swimming pools. This can be added to the water for minor stains, but extensive and deep staining often require draining the pool water to apply the chemical directly to the stain. For concrete pools, an acid wash is often required to fully remove stains, as metals can embed themselves in the naturally rough concrete surface. Algae growth can appear as pool stains, but often is merely the growth of the algae over the pool surface. The type of algae present can be indicated by the color of the stain. Stains can appear green or green-blue for green algae, light to dark yellow for yellow or mustard algae, and brown to black in color for black algae. Simple scrubbing will easily remove green and yellow algae. Black mold and black algae are more difficult to remove, as mold and algae spores can root into the pool surface to the point that scrubbing the algae and mold off the surface still shows a darkened area where the growth was.